In operation since 2007 and part of the Betway Gaming Network, Betway casino is licensed in Malta and mostly serves European countries. It has one of the biggest game selections online and uses Micrograming software. Offering players over 500 games including popular table games, slots, and specialty games, the games can be played instantly online. The casino is mobile device compatible also. You’ll have access to a range of bonuses and promotions at Betway casino meaning you can push your cash further and give yourself more chances to win. The loyalty program is also quite good. For more information or to have your questions answered contact Betway casino customer service 24/7 at +448082389841. You can also email them at support@betway.com or chat with them via live chat on the web site. Accessibility: One of the big positives for Betway casino is that you can play all their casino games instantly online. No download is required. Clearly, having access to their entire games library without needing to download is a big positive, especially if you have multiple devices. Game Availability: Welcome to slot machine heaven. Betway casino offers over 500 games, with over 400 of those being slot machines. This means you’ll be able to change it up regularly and find pretty much any slot theme you can think of. On top of this they offer all the popular table and specialty games. Currencies: You can play on Betway casino in a wide range of currencies. This includes Australian dollars, Canadian dollars, Euros, New Zealand dollars, Norwegian kroner, British pounds sterling, Russian rubles, Swedish kronor, US dollars, Czech Republic korunas, and Denmark kroner. This wide range means you should be able to play in your local currency (especially if you’re living in Europe), which will save you being charged currency conversion fees. Restricted Countries: Betway casino is restricted in many countries including the US. You can offer the best online casino in the world but if it’s only available to a handful of countries, then it isn’t great. You can still wager and deposit in US Dollars though. Cash out issues: There are reports of a few cash out issues amongst some players. Most of these are in relation to play through requirements on bonuses. This is an issue of course, but can most often be easily resolved with open communication and a little bit of patience. As always, make sure you fully review the bonus play through requirements and terms and conditions before activating any bonus. On top of this it’s always a good idea to complete all of the required verification documentation prior to withdrawing and playing, so you can avoid issues at a later stage. Here’s a recent forum thread at casinomeister that discusses a few things about Betway. As I mentioned above, Betway casino offers players over 500 games. This is a huge amount to offer with most online casinos only having between 100 and 200. I’ve listed below some of the games they offer broken up by key categories. Aces & Eights, Aces & Faces, All Aces, All American, Bonus Deuces Wild, Bonus Poker, Bonus Deluxe, Deuces & Joker, Deuces Wild, Double Bonus Poker, Double Double Bonus Poker, Double Joker Poker, Jackpot Deuces, Jacks Or Better, Joker Poker, Supajax, and Tens Or Better. Pontoon, 3 Card Poker, baccarat, baccarat high limit, blackjack Atlantic City, blackjack bonus, classic blackjack, blackjack Double Exposure, European blackjack, blackjack European high limit, blackjack perfect pairs, single deck blackjack, Spanish blackjack, blackjack Triple 7’s (progressive), blackjack Vegas downtown, blackjack Vegas strip, Caribbean Draw Poker, casino war, craps, Cyber Stud Poker, High Speed Poker, Hold ‘Em High, keno, Pai Gow Poker, Poker Pursuit, Poker Ride (progressive), Red Dog, European roulette, French roulette, Premier roulette, Royale roulette (progressive), Sic Bo, Texas Hold ‘Em Bonus Poker, and Triple Action Hold ‘Em Bonus Poker. You’ll find many good bonuses and promotions available at Betway casino. They have bonuses for new players and also rewards and promotions for existing player’s mainly through the loyalty program. These ongoing promotions will keep you coming back for more and striving to improve your Betway casino status (see more below). The play through requirements and terms and conditions for bonuses are quite strict and don’t give you much time, so make sure you fully review what they are for each bonus before activating it. I’ll give you a brief overview of bonuses and promotions and their relevant terms and conditions and play through requirements. Welcome Bonus – Upon making your first deposit you get a 100% bonus up to 250 pounds. On your second deposit you get 25% up to 250 pounds, and on your third you get 50% up to 500 pounds. To redeem these bonuses you must click on the relevant checkbox when registering and you’ll only have 7 days to receive these bonuses. You must wager the bonus chips 50x to access the cash. Keep in mind that only slots count 100% towards your play through requirements. The games listed above don’t count and all table pokers, roulettes, Video / Power Pokers (except All Aces and Jacks or Better Video / Power Pokers), blackjacks (except classic blackjack) and casino war, will only count 8%. This welcome bonus is strict and only having 7 days to play through is a bit tough. If you’re a slot player you may get there, but if you play table games then I wish you luck. Betway casino has the Betway Plus loyalty program that gives you rewards points, like a comp points program, and also has associated VIP tier levels. You’ll earn comp points as you wager that can be saved and redeemed for cash. On top of this you’ll also be assigned a VIP tier level when you sign up. You’ll find six tiers, which are Blue, Silver, Gold, Platinum, Diamond, and Prive. You’ll be able to climb up the levels the more you wager, and the rewards that you receive will be better the higher you advance. 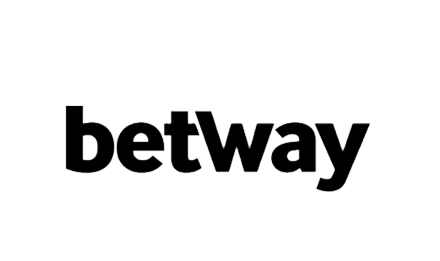 For more details on the Betway Plus Loyalty program view their website (https://plus.betway.com/). If I could only use one word to describe Betway casino, it would be huge. But big isn’t always best, and when it comes to Betway casino perhaps they should have focused on some other areas to make the casino more attractive to a wider variety of players. They offer players over 500 games and an excellent range of banking options and currencies, but the bonuses leave much to be desired. The play through requirements are quite high at 50x and unless you’re a fanatical slot player, given you have only 7 days to achieve the requirements, it will be hard to see any of the bonus dollars. There’s also a distinct lack of other bonuses and promotions. Add to this the casino isn’t available in many countries and is mainly focused on Europe, and there aren’t as many good things to say about Betway as I’d like. The casino is supported by players and appears to be trustworthy and Microgaming produced quality software that is entertaining and fun. So these things it does have in its corner. When you’re looking for an online casino if huge variety is what you’re after, particularly slots, then Betway casino could be excellent for you, otherwise it might be better to look elsewhere.